Essential Oils for Various Types of Coughs - JennScents, Inc. There are various types of coughs. How do you know what kind you have? And how do you know which remedies will be the best to use for your particular cough? Well, let me offer some insight to help you solve the cough remedy mystery. Before we dive into the nitty gritty of matching remedies to the various types of coughs, let’s understand the concept of “directional health”. What is Directional Health™? It is the concept of knowing which direction your ailment is headed. You will use your intellectual and gut compass to guide you on choosing remedies that turns an imbalance around into being in balance. For example, if you have a dry, hacking cough, the balancing force would be something that brings in moisture, to make it wet, like a mucolytic remedy. And vice versa, if a cough is very wet and mucusy, then you will need to add in drying herbs. My secret when I design an herbal and/or aromatherapy program is to always add in an adaptogenic herb that serves as a modulator, stress manager, nourisher and supporter, no matter what direction you are headed. 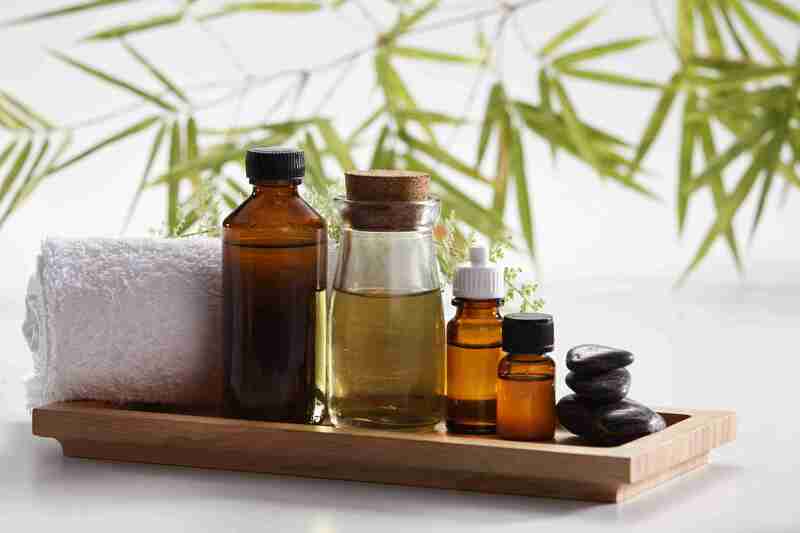 When you combine herbal remedies to work on the inside-out, with aromatherapy that works on balancing health from the outside-in, you get a well-rounded program with more effective, precise and specific results. I mix these in a carrier oil of calendula, arnica, hemp and/or jojoba, shea butter and aloe vera gel and apply to the throat, front and back of chest area, and bottoms of the feet. A wet cough is just that, wet. There is a lot of “juicy” phlegm and high mucus production that occurs when you cough, or that provokes a cough. The mucus can be thick, which can be choking or suffocating-like, or thin when causes a constant tickle. I find wet coughs are related to yeast, candida and parasite activity, thus incorporating remedies that help with these issues can help. Also, allergies, fighting an infection, respiratory concerns and constipation can be other culprits. I mix these in a carrier of coconut, hemp, almond and/or sunflower oil and aloe vera gel and apply to the throat, front and back of chest area, and bottoms of the feet. With a choking cough, the bronchioles are spasming. They tighten and constrict, thus making you feel like you are choking. Therefore, antispasmodic, loosening (decongestant) and dilating remedies are best. Some contributing factors that I have found to be instigators in a choking, hacking or chronic cough are post-nasal drip, silent reflux, bowel issues, lack of movement (sedentary for long periods of time) and change in weather which affects respiratory responses. For example, living in Florida, my body is used to warm, humid and high moisture air. When I travel to dry, less humid climates, it dries out my respiratory tract, causing respiratory distress and cough attacks. Thus, preparing ahead of time and traveling with my mucolytic remedies help me stay ahead of the excess dryness in my lungs and bronchioles.